This past Saturday, I paid my very first visit to Eastern Market in Detroit! Now, I know what you might be thinking: You’re from Detroit and you’ve never been to Eastern Market?! It’s true, and a little strange, but the fact is, I finally got there! And I absolutely loved every second of my experience. From the moment I walked out of my car, I could smell fragrant flowers, juicy summer fruits, and grilled meat. The market was packed full with people. The restaurants and small shops along Russell Street were filled with happy customers, listening to live music and drinking some early morning cocktails. I strolled happily from shed to shed, talking with some sellers about their products, sampling foods (of course), and simply enjoying the atmosphere. Along the way, I picked up some strawberries, asparagus, tomatoes, lentils, and fresh 9 grain bread from Devries & Co. – I highly recommend that you check out this store. Vivio’s is known for its Bloody Marys, so that was my first order of business. It came with a juicy pickle and a shot glass of beer, which was something I had never seen! My waitress advised “chugging” the beer and then sipping the Bloody Mary so that the beer doesn’t get warm (naturally). The Bloody Mary was well mixed and refreshing. However, if there had been hot sauce on the table, I probably would have poured a bit more in my drink since I expect Bloody Mary’s to have more of a kick than Vivio’s had. I’ve had better Bloodys, but this one hit the spot. For an appetizer, I ordered a bucket of Cajun-style mussels. Our waitress recommended these over the oysters. They were well-seasoned, with a little spice. They came with buttered toast for dipping and a small bowl of melted butter, which I didn’t feel was necessary since the mussels were already soaked in broth. This was a hefty portion, so I’d recommend splitting. They also have other varieties of mussels if you’re looking for something different. I chose the Lobster BLT for my main meal, which I shared with my dining partner (it’s pretty big)! This sandwich was featured on the show “Dining in the D,” so I had a feeling it’d be worth trying. I really enjoyed the lobster salad and would gladly eat it again, but I wasn’t wowed by the bacon (it was a little cold). 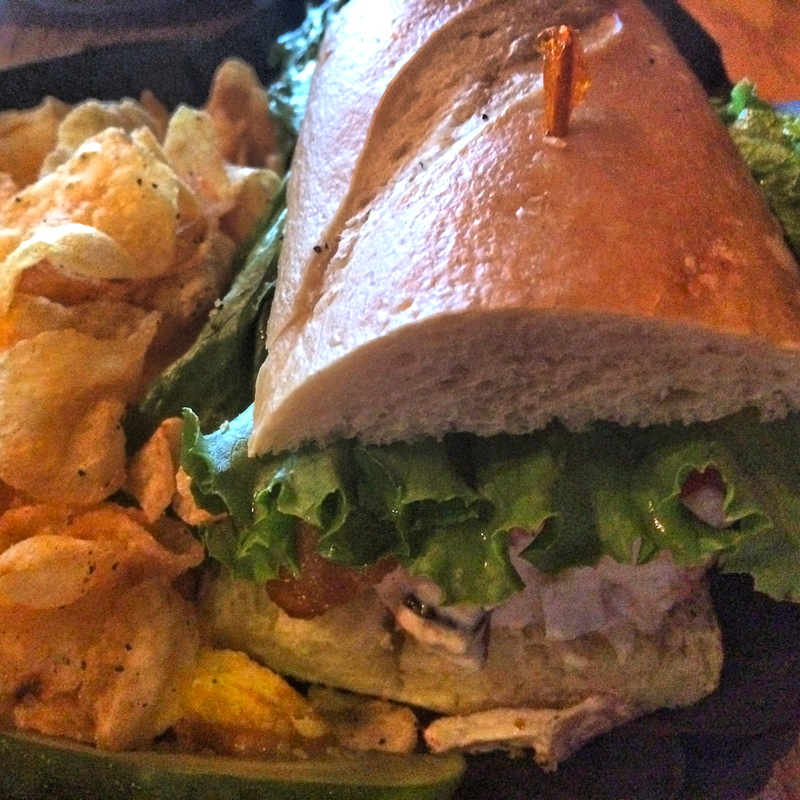 It came with a huge side of chips, which in my opinion, pair well with fresh sandwiches. It was hard not to go overboard on those! While the service was a little slow, the people-watching kept me entertained, and there are T.V.’s throughout the place. It was a fun spot, and I’d be willing to stop by again for some mussels, which were $8.75 for a nice-sized bucket. My sandwich was about $13.00, so definitely share this one if you’re watching your spending. While Vivio’s isn’t a super cheap restaurant, it is surely a step up from bar-style fare, with surprisingly good seafood in addition to burgers and wings. Cost: About $20 including my Bloody Mary. Not the cheapest find, but not too bad for good seafood! Phone #: (313) 393-1711. No reservations, so don’t come too hungry. They do offer take-out and do catering/parties. Kitchen hours (bar hours vary): M-Th. 11 a.m. – 8 p.m., Fri. 11 a.m. – 9 p.m., Sat. 8 a.m. – 8 p.m., Sun. 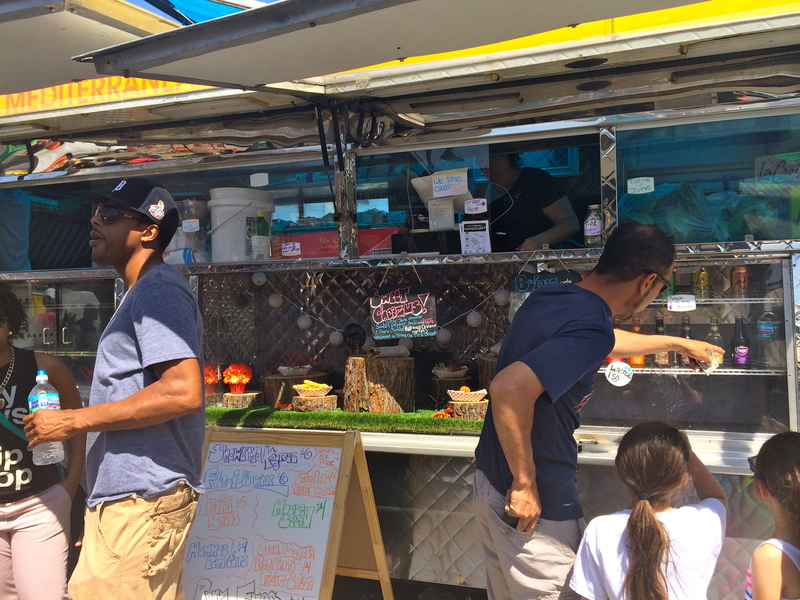 11 a.m. – 5 p.m.
During my next visit to Eastern Market, I want to check out some of the food trucks. Has anyone tried any? How about the Mac Shack? Leave your recommendations here!